Full Resolution Photos and Prints: If you want to see full resolution photos or buy prints of any of the photos you see, they are up on my portfolio for viewing. 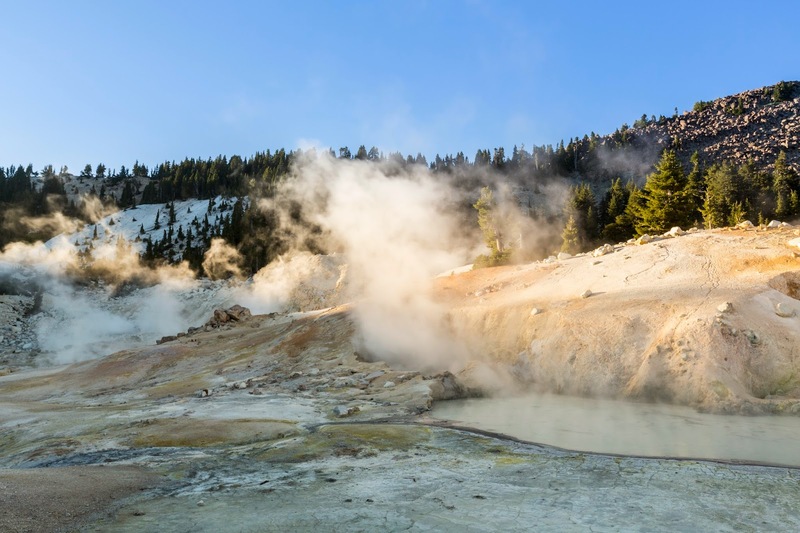 To view my best Lassen Volcanic National Park photos, use this link. To view all of my day 16 photos, use this link. 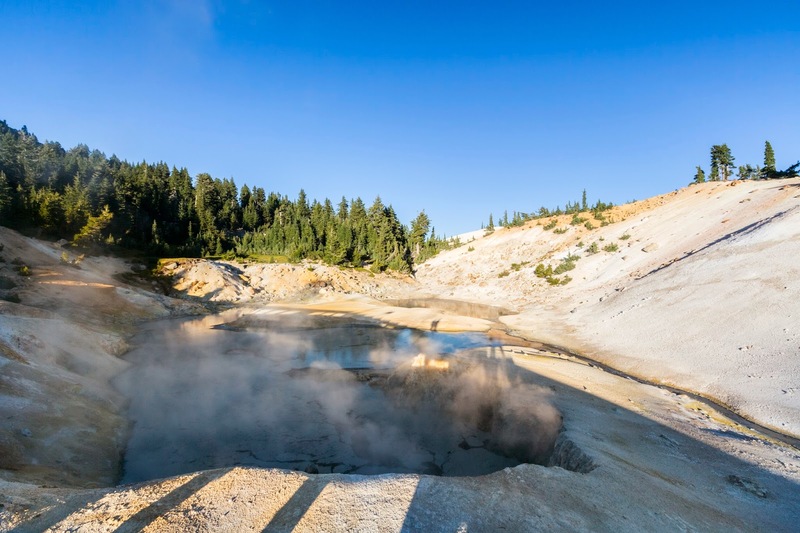 Today I have part 2 of the photos from Lassen Volcanic National Park in California, USA. 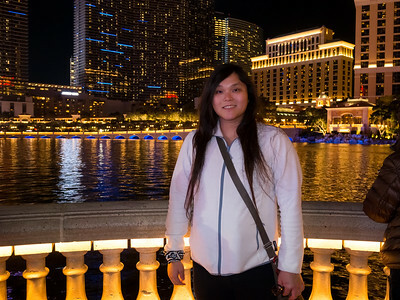 Photos from the park was split into 2 parts. 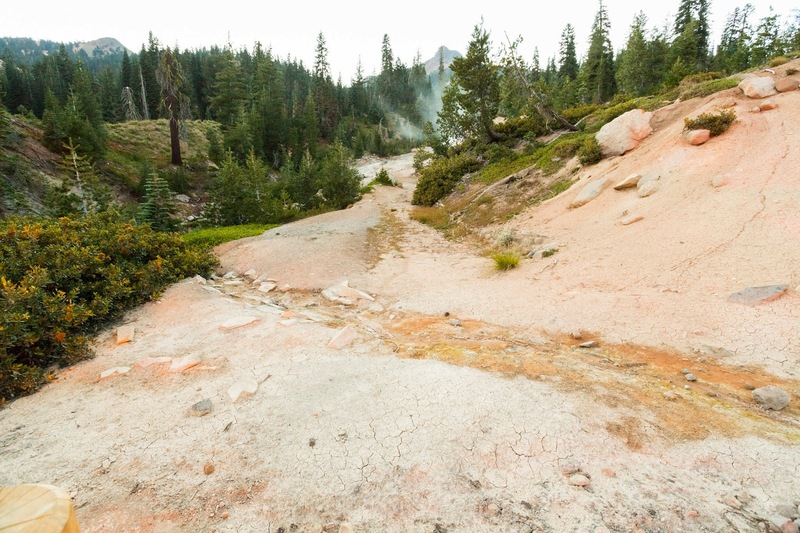 In my opinion, Lassen Volcanic National Park feels a bit like a mini-Yellowstone. 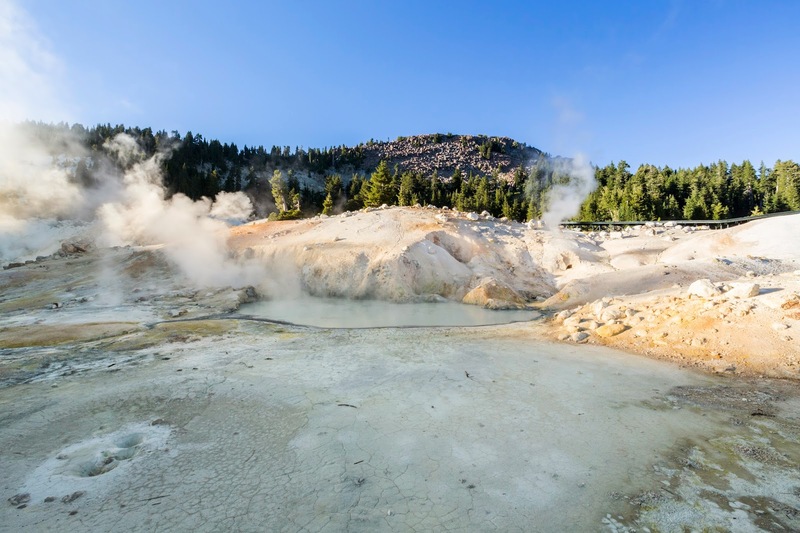 The park features many geothermal features and a volcano, Lassen Peak. 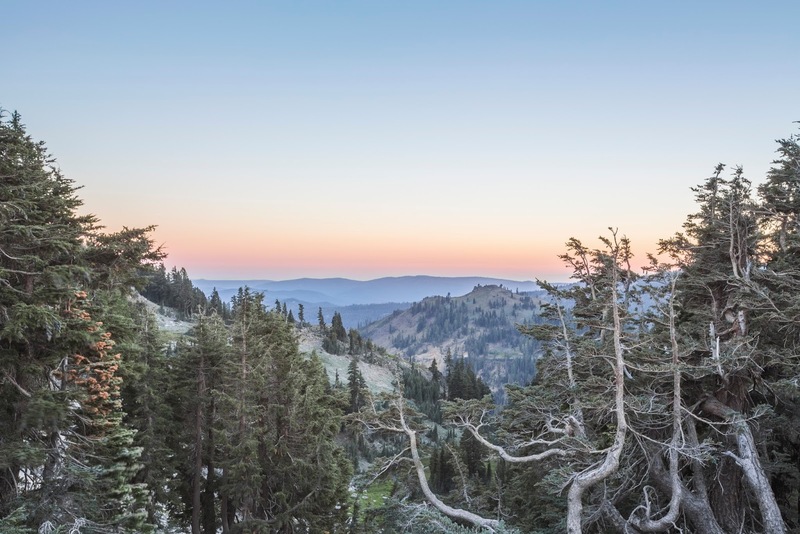 Lassen Peak is the southernmost active volcano in the Cascade Range and the highest point in Lassen Volcanic National Park. The peak is about 5,229 ft (1,594 m) high. 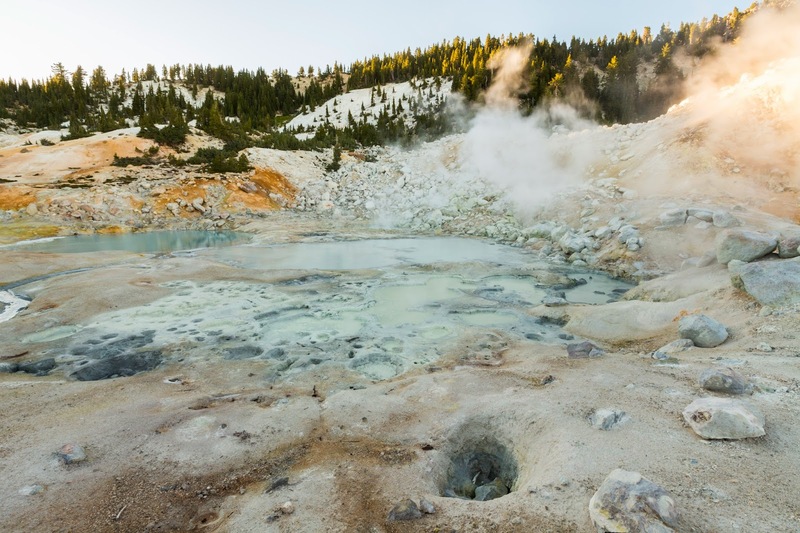 One of the most famous places in the park is Bumpass Hell (requires a bit of hiking) which includes many steam vents, mud pots, and hot springs. 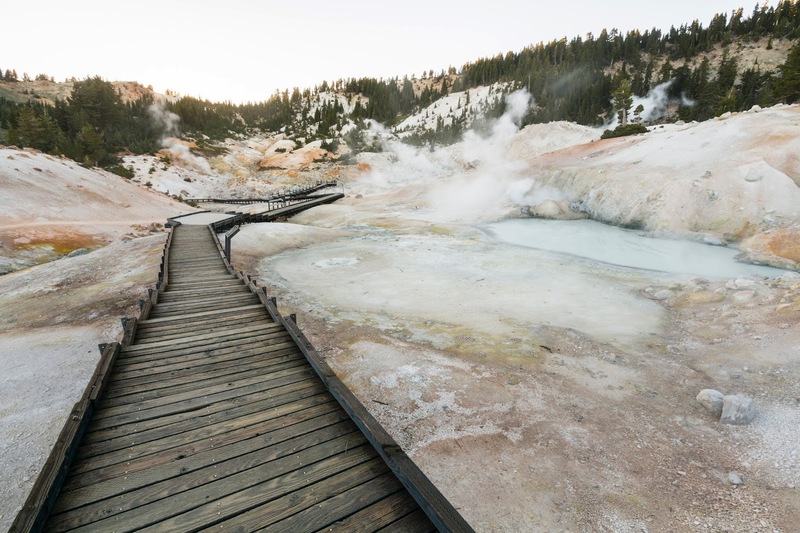 Travel Advice: Please note if you are planning to visit this park or similar places (such as Yellowstone), please stay on the designated boardwalks around the geothermal areas! 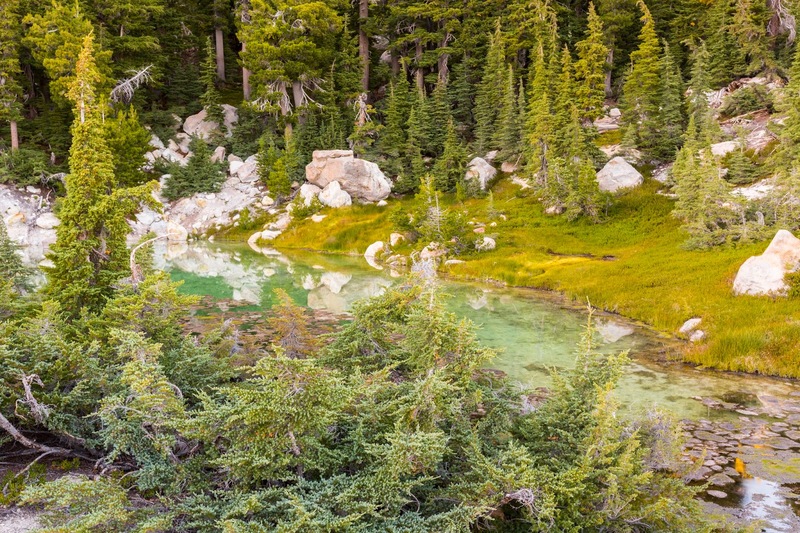 People has been burned alive after falling through the thin crust after going off trail! You have been warned. Also, these places aren't for the weak or frail. 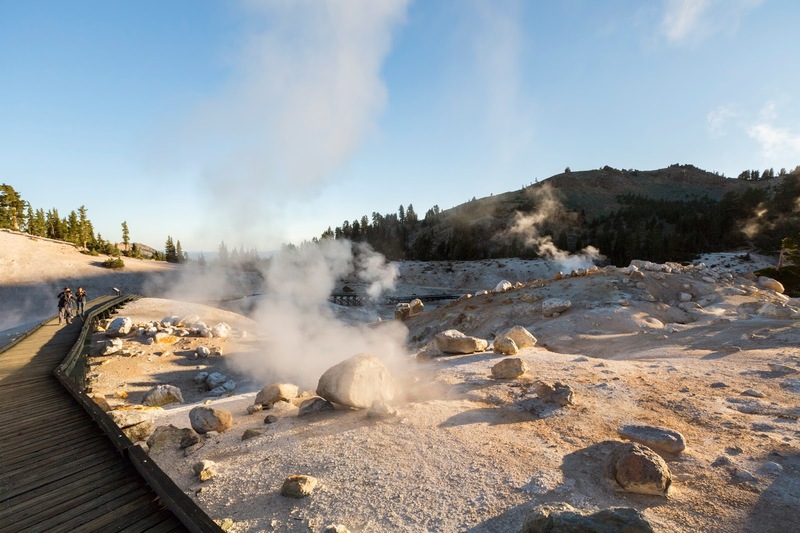 I had a headache for 2 days after visiting Lassen Volcanic National Park. 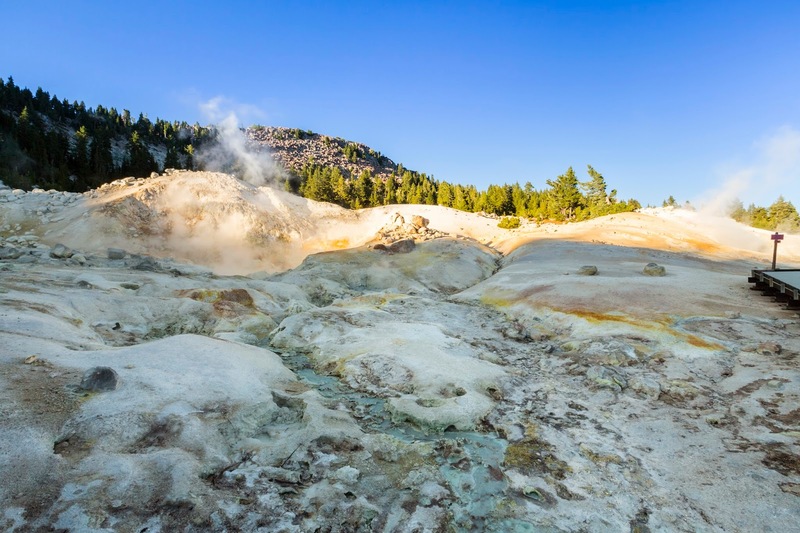 I suspect I was mildly poisoned from all the sulfur fumes I breathed down while photographing the geothermal areas. You should try to minimize your exposure to the fumes. These are just advice from me. I am no doctor and all the recommendations are based solely off of personal experience. You follow the advice at your own risk. The photographer can not be held responsible for any injuries or death as result of following these advice. 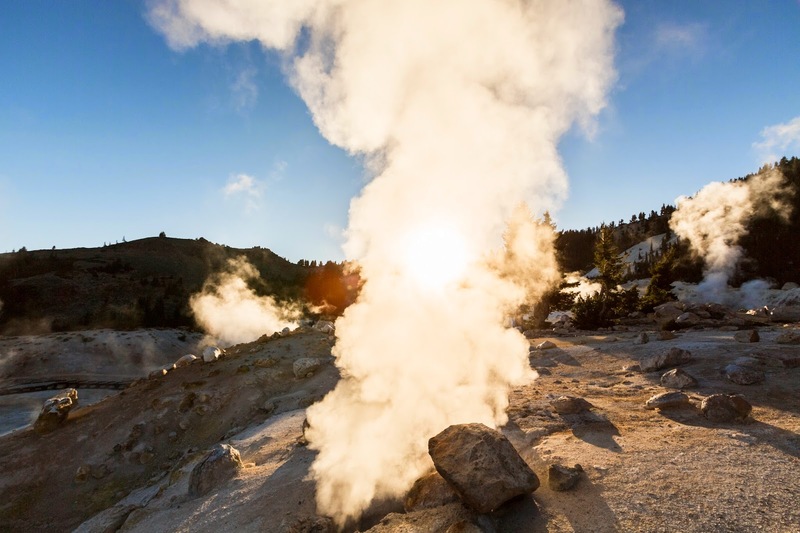 More sunset photos from Bumpass Hell continuing from the previous post. Now facing the opposite side of the boardwalk from the photo above, I shoot (in my opinion) one of my best sunset shots ever. 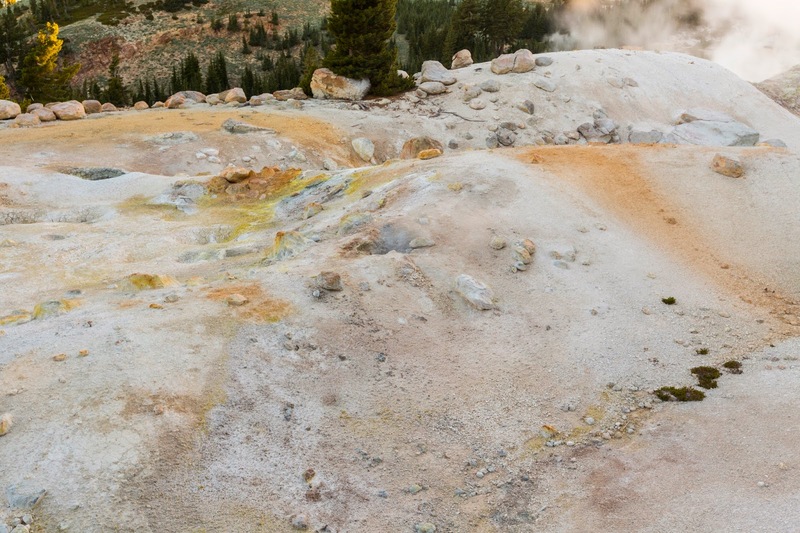 I wondered how the sunset would look through the steam vent. 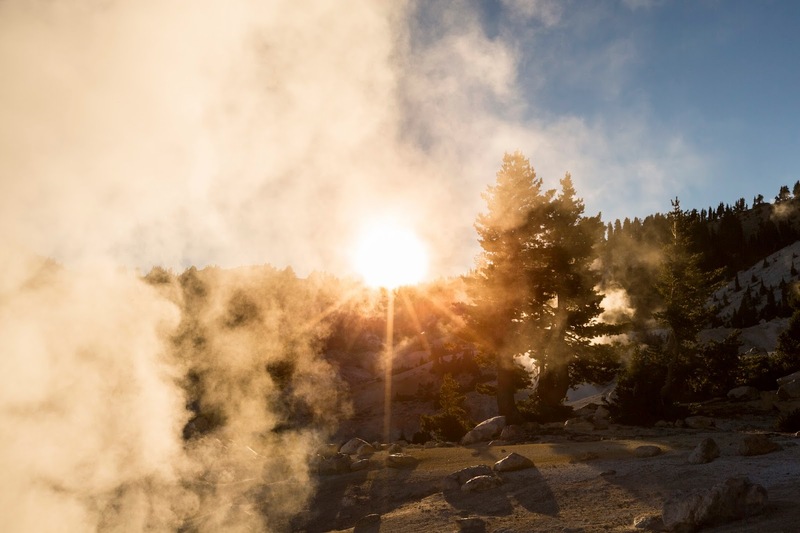 I took two photos with the sun shining through the steam. 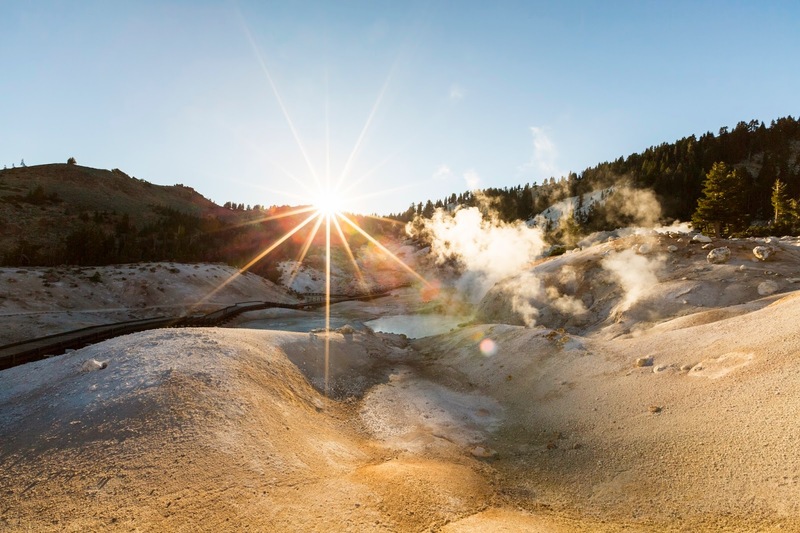 More sunset shot from Bumpass Hell. 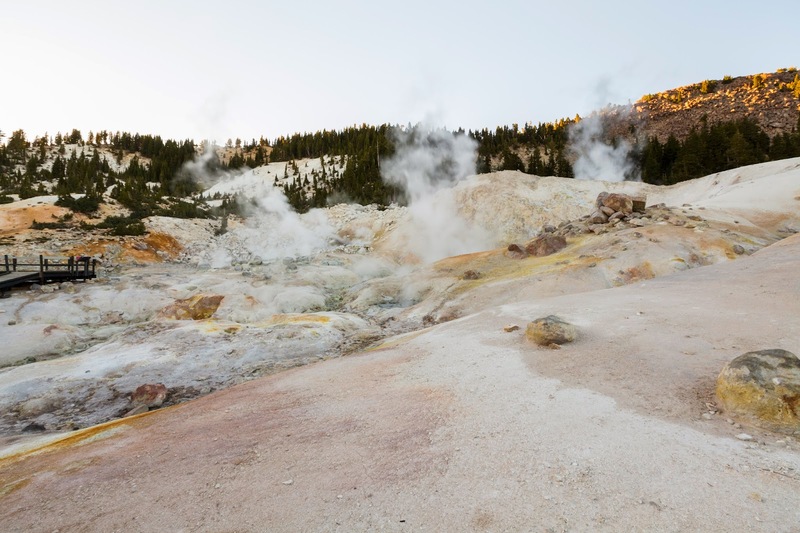 A small hot spring at Bumpass Hell. A photo of the boardwalk in the area. 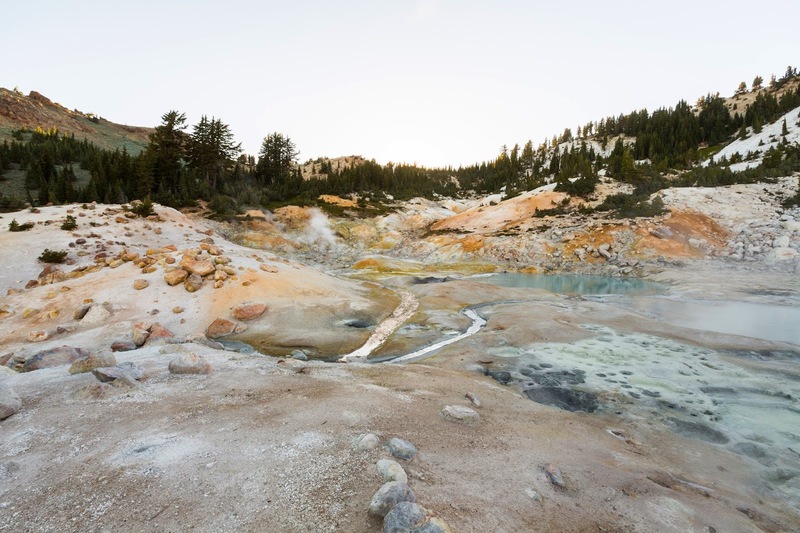 Last photo from Bumpass Hell before I head back as it was getting dark. Now a few photos from Sulphur Works in the pitch dark night. 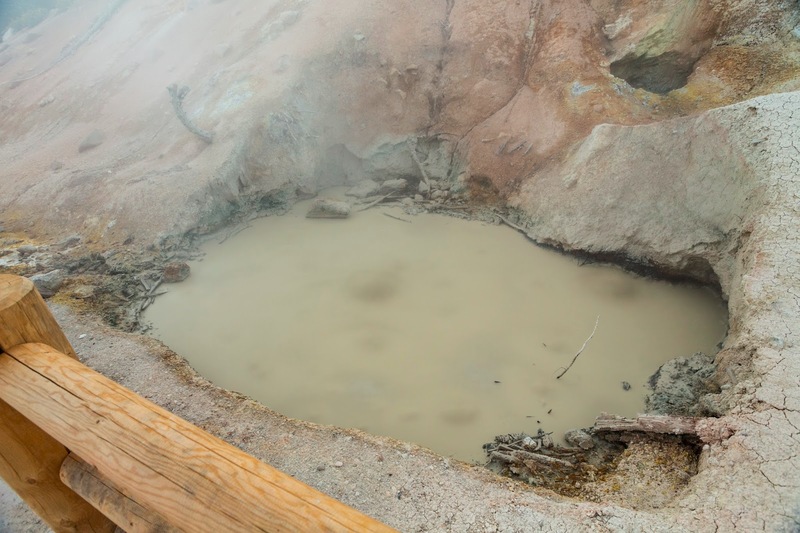 This is a photo of a mud pot. These photos were taken a bit past dusk and was heavily white balanced to compensate for the blue cast of the night. This is why these photos looks almost like they were taken during the day. Here is another photo from Sulphur Works. 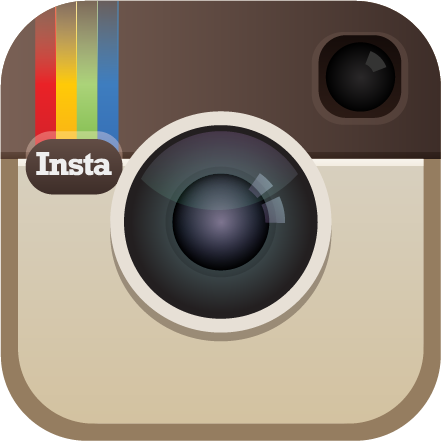 These are all the photos for today and for day 16. I hope you have enjoyed them. Next time I will continue with photos from Shasta Lake. Please don't forget to share with your friends and family members! Also, if you want to get notifications when I post up more photos, "Like" us on Facebook or follow me on Twitter and Google+. These links can also be found on the top of the right sidebar.